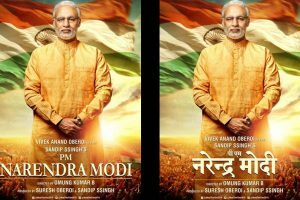 The Congress on Monday moved the Election Commission urging it to not allow the release of the PM Narendra Modi biopic, saying that its purpose was "political" to get extra mileage in the upcoming Lok Sabha elections. 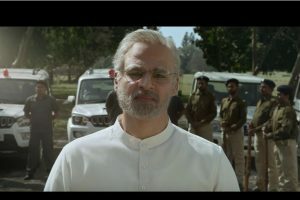 Sharing a still from the biopic's trailer that was released on Wednesday, Akhtar said that "he was shocked to find his name on the poster of the film." 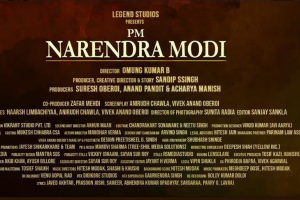 The DMK has sought for the stay of the recent film, based on PM Modi's life, "PM Narendra Modi", whose trailer was released on Holi, 21st March. 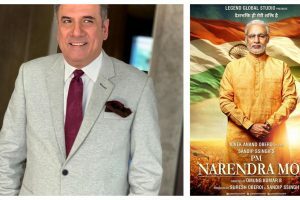 Boman Irani, the new addition to the cast of the biopic of Prime Minister Narendra Modi, will be essaying the role of business big wig Ratan Tata. 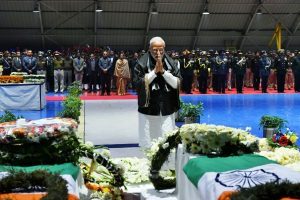 The bodies of 40 troopers were air-transported in a special plane from Srinagar to Palam airbase in Delhi on Friday evening. 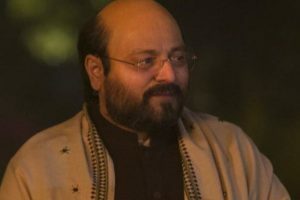 Manoj Joshi has worked in films like Vivaah, Hulchul, Hungama and Bhool Bhulaiyaa. 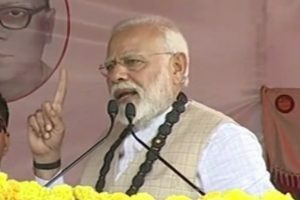 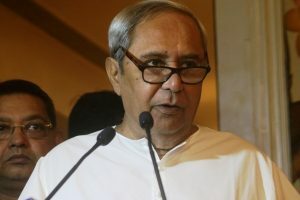 The Prime Minister’s speech in Thakurnagar in West Bengal lasted only 14 minutes due to disturbance in the crowd who jostled for space in the packed stadium to see Narendra Modi. 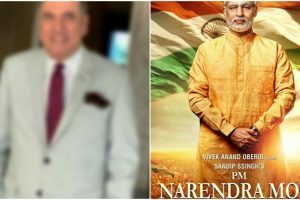 Boman Irani has joined the cast of Prime Minister Narendra Modi’s biopic. 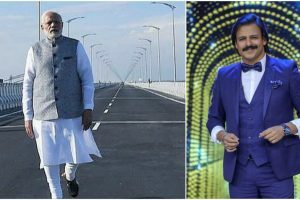 The film, which is helmed by Omung Kumar, has Vivek Anand Oberoi in the titular role. 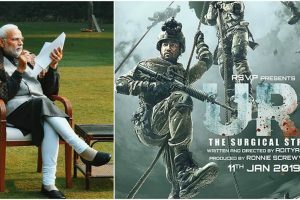 Vicky Kaushal starrer URI: The Surgical Strike has garnered immense appreciation and love from the audience and the entire Hindi film industry. 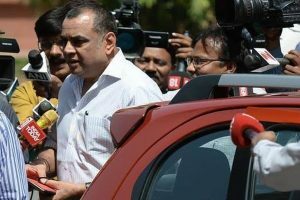 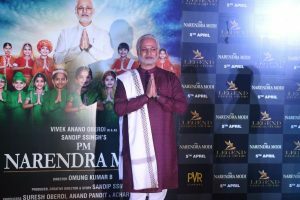 After producing the biopic of former Prime Minister Dr Manmohan Singh, Bollywood is gearing up for another one, based on the life of current PM Narendra Modi. 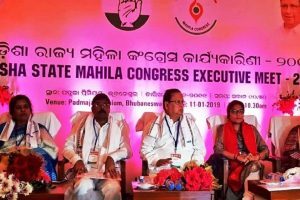 Singhvi also took a serious exception to the acronym “KALIA” drawing attention to its religious connotation and the obvious attempt to connect with people for cheap politics.